Redesign the branding of a magazine, including the logo, cover, table of contents, and a feature spread. 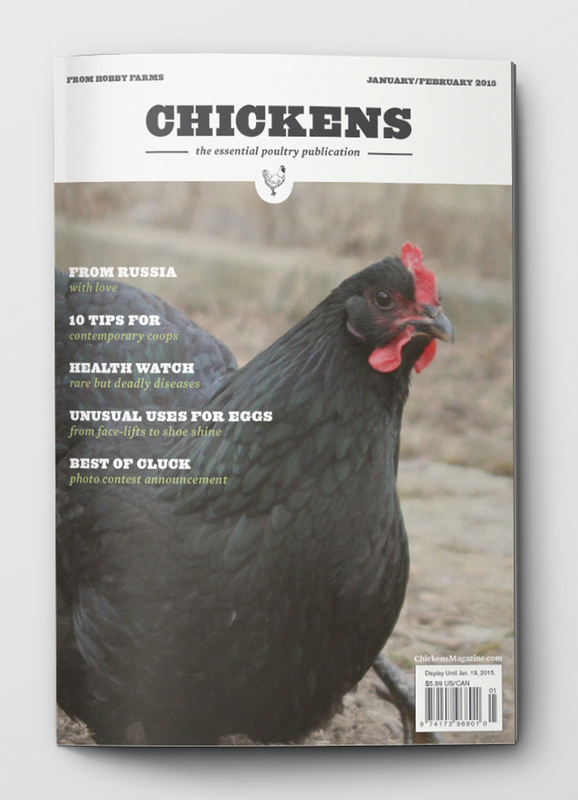 After thoroughly researching the market, I focused on the young, urban "back-to-nature" audience in order to redesign Chickens magazine. The new layout is simple, organized, and accessible, with clean type and plenty of white space to appeal to the more modern audience, yet still features a hand drawn logo as well as moments of expressive type as a reminder of its classic rural roots. With bright photos that inspire thoughts of farm life, Chickens turns a rustic focus into a modern experience.